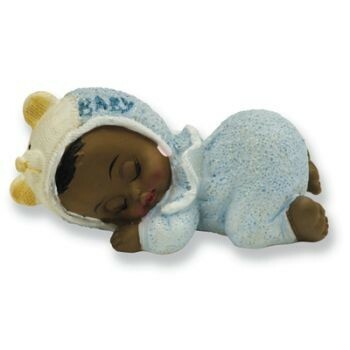 These ethnic sleeping baby boy decorations really are adorable. Each decoration is made from porcelain and measures approximately 3 cm high x 6 cm at its widest point. They can be used for cake decorations, on the party table, tie a name label onto the shell to use as a special place setting on your party table and so on.